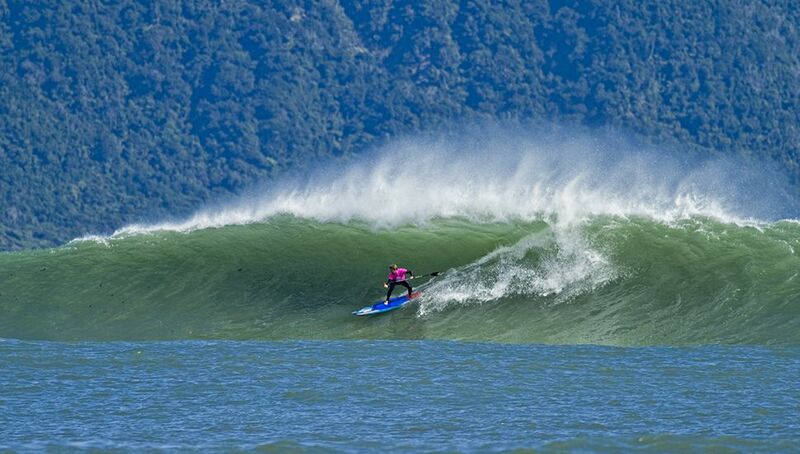 For the second year in a row, Maui’s Zane Schweitzer has been crowned The Ultimate Waterman, prevailing in a test of skill, strength and spirit that has seen eight athletes tackle eight disciplines in nine days, throughout the Southland region of New Zealand. Needing to finish no worse than fourth in the final discipline, Schweitzer has done just that, coming in behind Jackson Maynard (AUS), Connor Baxter (HAW) and Chuck Glynn (USA) in the 16 kilometre waka ama (outrigger) paddle. The result pushed Schweitzer to a total of 7250 points, beating Maynard by 340 points, with Caio Vaz (BRA) a further 155 back. Maynard vaulted from fourth to second with his victory in the outrigger, in what is his first appearance in the event. For Schweitzer, it’s the culmination of hard work and knowledge passed down from his parents and grandparents. “I hope they are all so proud, because I’m proud and super grateful to keep on carrying the torch. I’m going to hold it humbly and proudly, and bring The Ultimate Waterman title back to Maui” Schweitzer enthused. It brings to a close an incredible week of action on, in and out of the water, as the Watermen and event organisers enjoyed incredible support and hospitality from everyone around the Southland region. Through Red Bull TV’s coverage of The Ultimate Waterman, Southland’s, stunning coastline and majestic scenery has gone to a worldwide audience of more than one billion people.